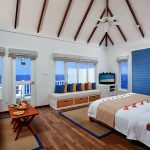 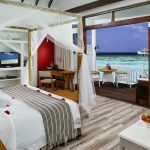 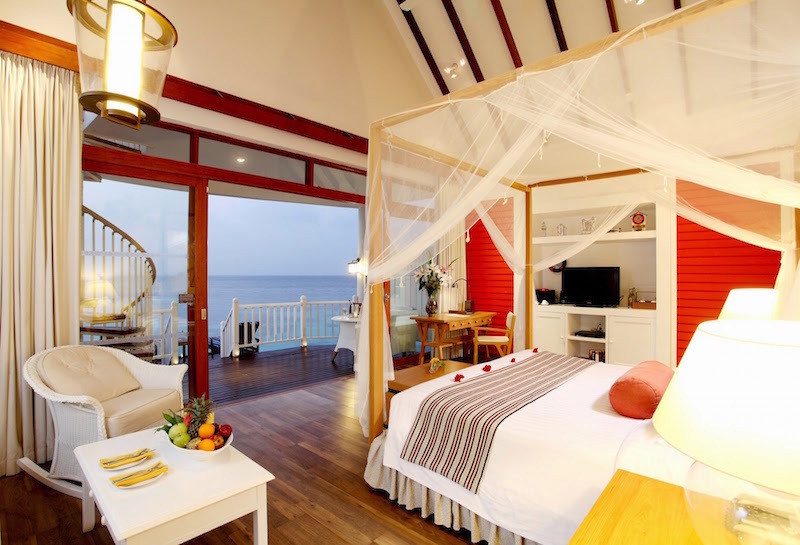 The resort has a choice of Beach Suite and Water Villa accommodation, all of which include flat-screen TV with international channels, a DVD player, complimentary wireless internet access, and every five-star amenity, together of course with complete privacy. 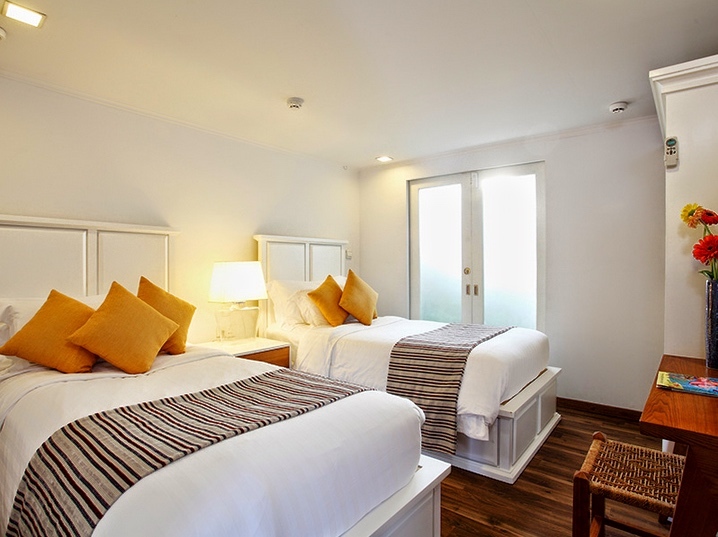 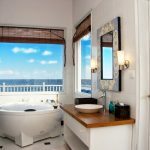 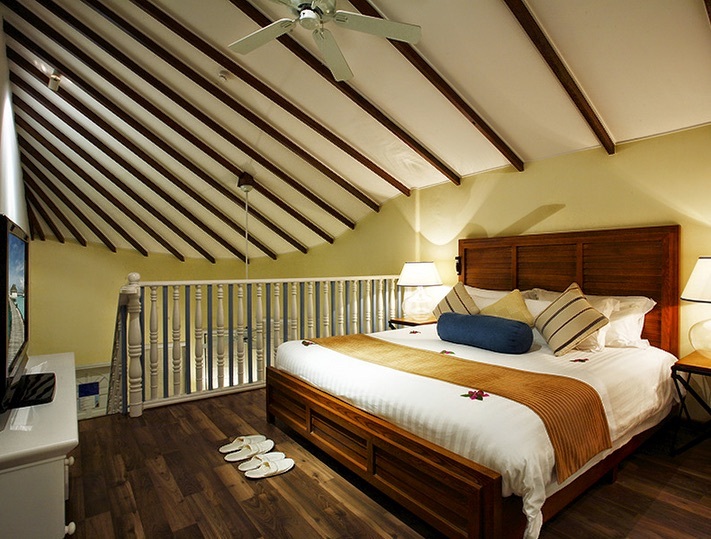 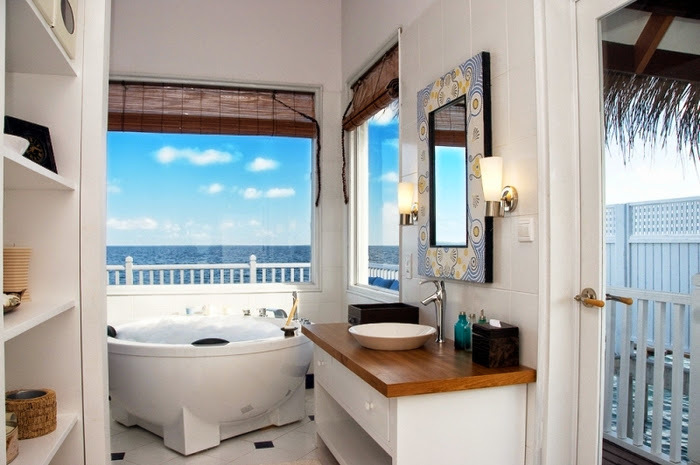 Beach Suites are spacious and can comfortably accommodate up to three adults or two adults and two children. 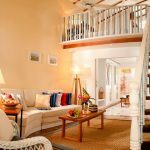 Each suite is on two levels, with the living room and furnished terrace on the lower level and the king or twin bedroom and the bathroom, together with a terrace, on the mezzanine level. 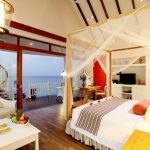 Water Villas are set above the reef in the lagoon, with a private stairway leading down to the water direct from each villa. 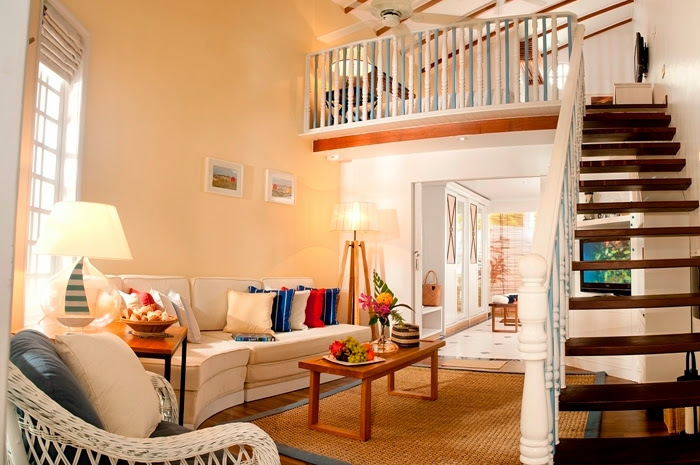 Couples, families and groups will find a large, light and airy living space, with privacy and plenty of room to relax, whether indoor or outdoor. 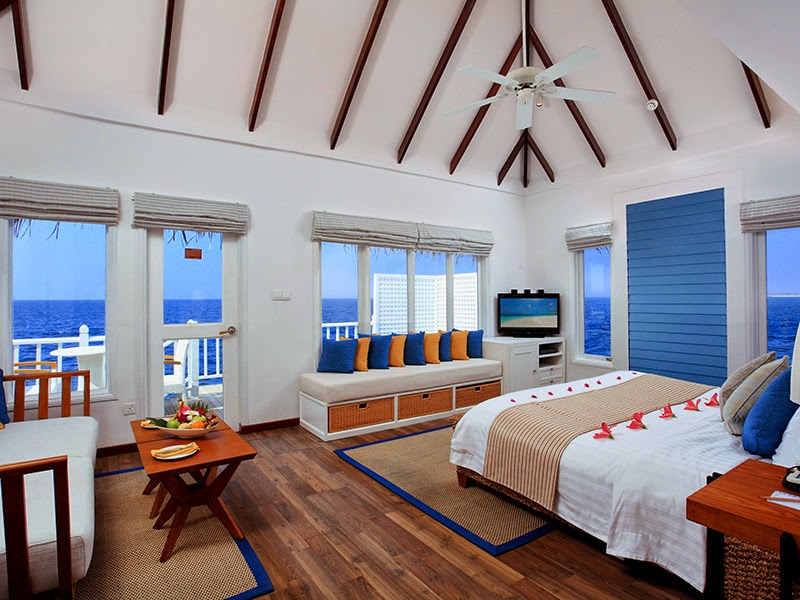 Guests who wish to enjoy additional exclusive benefits including dedicated service at The Club Lounge with its separate swimming pool and dining venue and, private check-in and check-out will opt for The Club accommodations.